CIMB Bank unveiled its first Digital Lounge in Ho Chi Minh City (Saigon), along with the OCTO by CIMB mobile banking app for consumers. Ho Chi Minh City hosts CIMB Bank Vietnam’s first branch following the establishment of its headquarters in Hanoi in 2016. The launch also marks the beginning of CIMB Vietnam’s digital banking proposition, inaugurated by the OCTO app which offers round-the-clock mobile banking. Representatives from the State Bank of Vietnam witnessed the digital lounge launch, along with the Consulate General of Malaysia and Malaysia External Trade Development Corporation based in Ho Chi Minh City. 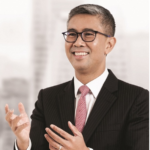 To Zafrul, the launch demonstrates that CIMB has a long-term goal in Vietnam that will continue beyond OCTO and the launch of the Digital Lounge in their grand plans that encompasses all of ASEAN.